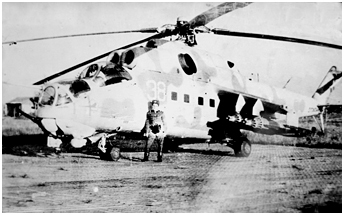 The variety of weapons that the Mi-24V could carry was more extensive. In addition to traditional UB-32A and the new B-8V20A (20 S-8 80mm rockets) rocket pods (1), 9M114 missiles and various bombs, the "Hind-E" could mount GUV containers (9-A-669 Universal Container for Helicopters) that could be configured in two versions. The GUV-8700 received a YaKB-12,7 (9-A-624) 12,7mm four-barrel gun and two 7,62mm GShG-7,62 (9-A-622) machine guns, while the GUV-1 was configured with a 30mm AGS-17 Plamya (Flame) automatic grenade launcher. The panoply also included UPK-23-250 cannon pods equipped with 23mm twin-barrel GSh-23L guns supplied with 250 rounds of ammunition and KMGU-2 sub-munitions dispensers for anti-tank and anti-personnel mines. It was finally possible to fire 122mm S-13 (B-13L containers for five rockets) or larger caliber 240mm S-24B unguided rockets. Four PTB-450 auxiliary fuel tanks could be accomodated on the wing pylons for long ferry flights. Ces photos ont été prises par la caméra de tir S-13 d'un Mi-24 du premier escadron du 178.OBVP de Stendal lors d'un combat aérien en septembre 1988. © V.Paevskiy. 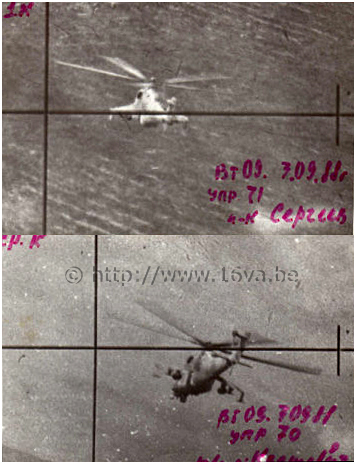 These pictures were taken by the S-13 strike camera of a Mi-24 from the first squadron of the 178.OBVP from Stendal during an air-to-air combat in September 1988. © V.Paevskiy. 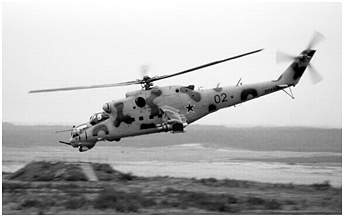 Air-to-air missiles were tested on the Mi-24 during the 1970s (Strela) and the late 1980s (R-60 and R-73) (2). Some Russian publications report that a few GFSG "Hind" squadrons were equipped with R-60 missiles, unfortunately without giving further details and testimonials seem to be absent as if the subject was taboo. The fact is that the use of the Mi-24 based in the GDR for air-to-air interceptions cannot be questioned. On July 19, 1988 - one year after the landing of Mathias Rust on Red Square with a Cessna 172 on May 28, 1987 - USMLM tour officers observed a Mi-24K and a Mi-24V from Stendal performing air-to-air combat training. However, back in 1986, a USMLM report mentioned this: "... HIND helicopters were observed in combined arms attacks, working closely with fixed wing aircraft, during night flare and adverse weather training, and in possible air-to-air intercept scenarios." In fact, the Mi-24s were successors to the Mi-8 in the role of interceptor of targets flying at low altitude and slow speed. It would appear that an alert system was set up after the 1961 Berlin crisis. The Mi-4 and the Mi-8 were ready to take off from their respective home bases or from outposts such as the PVO radar sites near the inter-German border (3). Very logically, the better armed and faster Mi-24 took over from 1976 on, a date that corresponds to the arrival of the 'D' version in the GDR. The potential targets of the Mi-24 essentially fell into three categories. There were spy balloons that normally flew at high altitude. However, any balloon seemed to be suspect: according to the testimony of a staff member assigned to a radar site of the 46.ORTB (Separate Radar Battalion), the pilots were awaiting with some excitement the passing of weather balloons, which were targets that could be shot down. 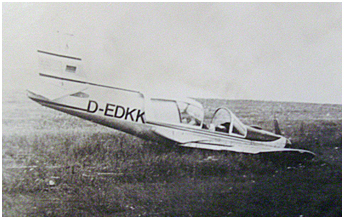 There were also West German private airplanes and sailplanes that often crossed the border by mistake, as one can imagine. Being civilian aircraft, they could not be shot down and, because of its higher speed, it was not appropriate to use a figthter aircraft to force them to land. The use of helicopters instead could conserve the potential of the fighter aircraft and reduce the workload on their crews, while providing helicopter pilots the opportunity to train in air combat. The goal was to force the intruder to land on GDR soil. Finally, there were NATO helicopters patrolling along or too close - within five kilometers - to the border. NATO regularly tested the effectiveness of the crews on alert in this way. A Mi-24 pilot remembers: "I had the opportunity to be posted on alert at Mahlwinkel, Köthen and at the Quedlinburg radar site more than once. The West Germans [NATO] knew our call-signs and our level of qualification and they checked regularly the capabilities of the alert section. Simply put, around 1984-1985 on a May 9, when our call-sign had been changed as it was regularly, our alert crew took off to meet a target three times and I flew about 7 hours on this sacred day (4)." 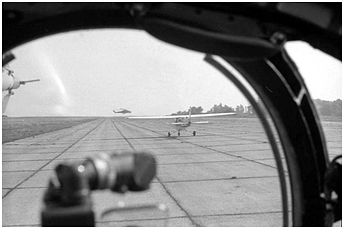 The task to detect and intercept the low- and slow-flying targets was based on the shoulders of the East German border guard troops, of the GSFG and the NVA radar sites and Mi-24s of the Soviet and East German aviation forces (5). 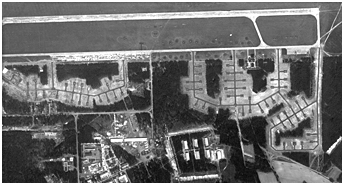 Landing pads for the helicotpers and buildings for their crews were built next to the PVO radar sites located on the front line, which had the capability to conduct Ground Control Intercept (GCI) tasks. Mi-24 crews were only at 10 or 20 meters from their machine and the time required to launch was significantly less than that of a fighter. In addition, these outposts were located at only 6-15 kilometers from the German border, which further reduced the reaction time. When a Mi-24 intercepted a border violator, it formed up with it and "wiggled" its nose gun. That was generally enough to convince the western pilot to land at the closest suitable place. But when that was not enough, the Mi-24 pilot opened fire in the direction the violator was headed. Once the intruder was on the ground, the Mi-24 landed nearby and the flight engineer guarded the violator until arrival of the "appropriate authorities." Then, the helicopter returned to base. Le 3 août 1984, le Socata MS893A Commodore 180 D-EDKK fut intercepté à l'intérieur de l'espace aérien est-allemand par le Mi-24 du Capitiane Jabov et contraint de se poser en RDA. L'équipage affecté à une unité stationnée à Nohra, fut récompensé avec des montres commémoratives. © Archives A.Sviridenko. 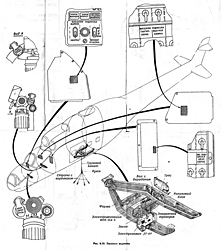 Socata MS893A Commodore 180 D-EDKK was intercepted inside the East German airspace on August 3, 1984 by the Mi-24 of Captain Zhabov and forced to land on the GDR soil. The crew, from a unit based at Nohra, was rewarded with engraved watches. © A.Sviridenko archives. Take, for example, the Mi-24 squadrons from Nohra that intercepted three civilian aircraft in 1984 and 1985. Among the different interceptions of West German civilian aircraft, one stands out. On May 21, 1983, a certain Friedemann Späth deliberately violated the GDR border aboard Piper L-18 D-EHCK and shortly thereafter was fired upon by a Mi-24! This was not the offender's first attempt at this. The complete story is too long to be recounted here. It was the subject of several articles in the magazine "Der Spiegel" in 1978 and 1983. It is possible to read them online (four pages each). If you do not understand German, an online translator will produce a very intelligible version of these articles that definitely deserve a reading > Links 1 /2/3 /4. The local squadrons would have taken the alert role in 1980, one year after the transfer of the 336.OBVP from Berdyansk to Nohra. In addition to the local alert section at Nohra, the squadrons were posting regularly one Mi-24 on the radar sites at Geba and Wachstedt. Let's point out that the forces on alert were prepared to intercept not only aerial, but ground-based targets as well. 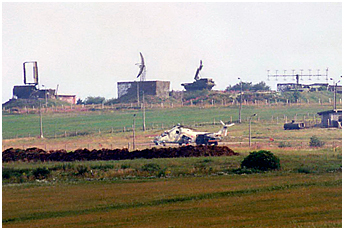 At Nohra, four crews were on alert to "work" ground-based targets; these helicopters stood alert with mounted and loaded unguided rocket pods (the alert role against ground-based targets was rescinded on December 1, 1989). In June 1988 an additional crew was placed on alert for the interception of free automatic aerostats that were probably considered as potential spy balloons. According to the testimony of a former GSFG pilot, the Soviets also were testing NATO readiness by sometimes sending a pair of Mi-24s to the border. After an approach at full power, the helicopters were reconnoitering beyond the border and continued to fly about two kilometers along the wrong side of it before breaking away. 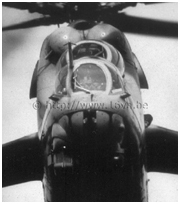 However, on June 16, 1983, an encounter between the Mi-24D bort number 07 (probably from the 345.OVE OP that was also based at Nohra) deployed at the Wachstedt radar site and a Bell AH-1G Huey Cobra in the Witzenhausen/Neu Eichenberg region, was to end tragically. 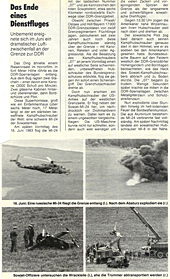 The pilot of the Mi-24 would have behaved aggressively against a West German border guards (Bundesgrenzschutz) helicopter patrolling along the border. After the latter reported the incident, a Huey Cobra from the 4th Squadron, 11th Armoured Cavalry Regiment (4/11 ACR) based in Sickels (Fulda Army Airfield) was sent to the rescue. There followed a series of bold maneuvers on both sides that led ultimately to the Mi-24 crash: the main rotor of the latter finally hit and cut the tail boom (6) with the ultimate consequences that can be imagined. The Mi-24 crashed one hundred meters from the border and was completely destroyed by fire, leaving no chance for the three crew members. The regimental commander, Colonel I.V. 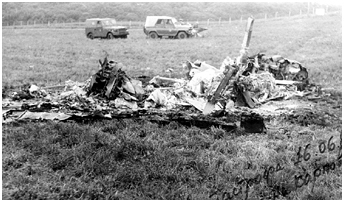 Vladimirovich would have visited the scene soon after the tragedy with a Mi-8. The next day, the bodies of the crew consisting of Captain Yu.D. Karpov (pilot), A.N. Sachkov (WSO) and L.N. Semakhin (flight engineer) were recovered from the wreckage, while the latter was evacuated by soldiers of the NVA (See also this > Link) (7). 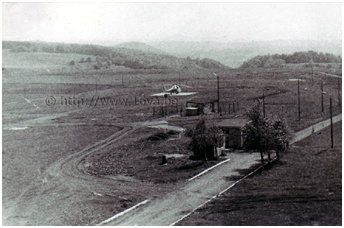 To crown it all, Nohra airbase also lost accidentally a Mi-8TV with all hands on April 29, 1989 in a collision with a growing tree atop a hill in the Ehrenburg area, during a border patrol mission. Standing alert at the home base unfolded as follows (testimony of a pilot assigned to the 337.OBVP at Mahlwinkel in 1984 - that aerodrome was located at 42 km or 13 minutes flight time from the border): one crew was ready to launch within ten minutes, while a second crew was available within thirty minutes. When the first crew took off, the second crew went to a higher alert level, ready in turn to launch within ten minutes. There were two to three alert launches a week. In order to be comprehensive, it should also be mentioned that the Mi-24s were likely to chase the Western military liaison missions when the opportunity presented itself. Group Captain Richard Bates, Deputy Chief of BRIXMIS in 1981, testifies: "Soviet helicopter crews were adept in locating mission cars and often ready to give chase, sometimes descending so alarmingly as to threaten to collide with the tour car." Le Bort nomer 23 était un Mi-24V qui fut photographié en août 1982 alors qu'il couvrait un exercice de franchissement de cours d'eau près de Sandau. Il était équipé d'un crochet DG-64 pour le transport de charges sous élingues. Celui-ci était situé au centre du cadre en forme de V que l'on peut distinguer sous le fuselage. © USMLM. Bort number 23 was a Mi-24V that was photographed in August 1982 in conjunction with a river crossing exercise near Sandau. It was equipped with a DG-64 ventral hook to carry loads under sling. 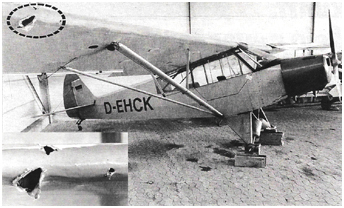 The hook was situated in the center of the v-shaped frame visible under the fuselage. © USMLM. The "Hind" could be fitted with a removable DG-64 hook fixed under the fuselage to carry loads under slings. According to statements by a former pilot, many Mi-24D and the first series of the Mi-24V were fitted with this hook. 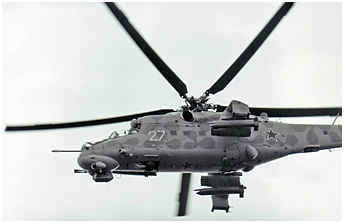 The technical specifications for the Mi-24P also mentioned the parameters for the use of the hook. According to another witness, each squadron (12 to 18 aircraft) should have included a flight or Zveno (four helicopters), whose crews were trained for this type of work. Four to six training flights were conducted in good weather each year. This option, however, was not widespread. The vertical take-off of a heavily loaded Mi-24 was indeed problematic and, in addition, the transport under sling caused strong vibrations of the nose in the front seat. In an emergency, the load carried could be jettisoned by pressing a button located on the control stick of the collective pitch from the front and the rear seat. The flight engineer had also his own emergency jettison command. The hook was electrically controlled and it was folded in horizontal position under the fuselage when not in use. The maximum load the Mi-24V and -P could carry was 2400kg. 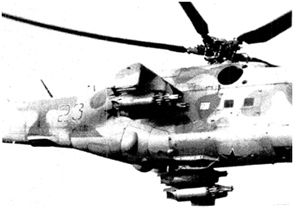 Let's also note that the Mi-24 were likely to carry the "Lyunet" (lunette) smoke system that was composed of external pods with smoke cartridges. The advent of the Mi-24V went hand in hand with the arrival of a new regiment in 1979 within the GSFG: the 337.OBVP at Mahlwinkel. Other units abandoned their "Hind-D" in favor of the "Hind-E": the 225.OBVP at Brandis (only partially, 1980), the 172.OBVP at Parchim (1980), the 336.OBVP at Nohra and the 178.OBVP at Stendal. Moreover, new units were created in the GDR during the 1980s: the 439.OVP BU at Parchim (Mi-24V - 1987), the 440.OVP BU at Stendal (Mi-24D/V - 1987), the 485.OVP BU at Brandis (Mi-24V - 1989), the 486.OVP BU at Altes Lager (Mi-24D/V - 1989) and the 487.OVP BU at Gross Dölln (Mi-24V - 1989 / unit under creation composed of only two squadrons transferred to Werneuchen in 1991). We do not know if at the time of their arrival, the 486 and the 440.OVP BU were equipped solely with 'D' models or with a mix of 'D' and 'V' models. The question also remains open for the 225.OBVP. It should be noted that the OVP BU-type units were created on-site by the amalgamation of the many units of the OVE OP type that, along with having Mi-2s and Mi-8s, were introducing Mi-24s (read > The Armeyskaya Aviatsiya in Germany). Thus, the 440.OVP BU began to be formed from March 1, 1987 with helicopters from squadrons that were based at Köthen, Mahlwinkel and Neuruppin. The process ended on March 25 when the regiment received its Combat Banner. Le mécanicien navigant d'un Mi-24P se détend avant de faire ses adieux à Mahlwinkel le 16 mai 1994. © JL Debroux. 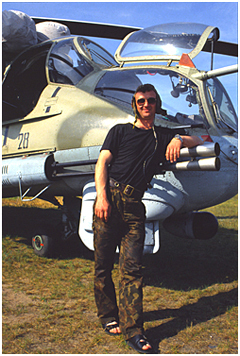 The flight engineer of a Mi-24P takes a rest before bidding farewell to Mahlwinkel on 16 May 1994. © JL Debroux. It is on the occasion of the exercise "Druzhba 82" (Friendship 1982) that the Western observers discovered what appeared to be a Mi-24V "Hind-E" armed with a 23mm twin-barrel gun (sic) mounted on the front-right side of the fuselage. It was in fact a new model, the Mi-24P (P for Pushechnyy - cannon-armed), which received the NATO code "Hind-F." This new "Hind" version basically was a Mi-24V without a nose turret and armed instead with a Gryazev/Shipunov GSh-30K (9-A-623K) rapid-firing twin-barrel cannon 2 meters, 40 centimeters long. This 30mm pushka (cannon) approved in 1976 was also fitted to the Su-25 in its shorter GSh-30 version 1 meter, 50 centimeter long. 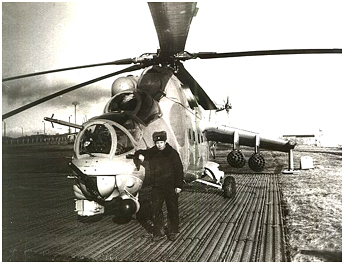 It was mounted in a fixed position on the right side of the Mi-24P (the pilot had to point the nose of the helicopter to aim at the target) and its long tubes were tipped with flame attenuators in order not to blind the Raduga-Sh target acquisition and aiming system mounted also to the right under the nose. 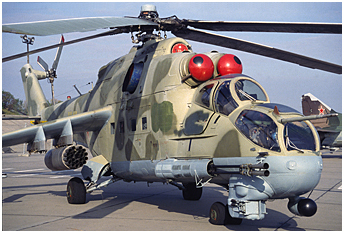 The Mi-24P indeed retained the same equipment and the same antitank and fire support capability as that of the Mi-24V. The production of the "Hind-F" began in 1981 and ended in 1989 with more than 635 copies built. The first Mi-24Ps in GSFG seem to have been observed at the 178.OBVP from Stendal in 1982. This unit had an equal allocation of 20 Mi-24V and 20 Mi-24P in 1991. Two other units received "Hind-F" in 1984: the 172.OBVP at Parchim (mixed strength with Mi-24V) and the 337.OBVP at Mahlwinkel (mixed strength). This unit took on charge some Mi-24P from the 178.OBVP during the summer of 1992 for some reason, perhaps replacing the Mi-24V or -P whose remaining service life was insufficient to fly for nearly two more years in Germany. The Mi-24VP "Hind-E mod" was a compromise between the firepower of the Mi-24P and the greater agility of the Mi-24V (because of its nose turret). On this model, a NPPU-24 barbette armed with a GSh-23L 23mm twin-barrel gun replaced the USPU-24 turret. The development of the Mi-24VP began in 1985, and production started in 1989 with only 25 copies completed before the manufacture of the Mi-24 was discontinued that same year and it seems very unlikely that any of those helicopters ever joined the GSFG. De nombreux hélicoptères du 439.OVP BU de Parchim arboraient cet emblème sur le côté gauche du nez au début des années 90. Numerous helicopters of the 439.OVP BU based at Parchim had this badge painted on the left side of their nose during the early nineties. La plupart des hélicoptères du 440.OVP BU de Stendal étaient décorés de ce badge sur le nez à gauche au début des années 90. Il représentait les armes de la ville de Stendal, flanquées du drapeau des VVS et du drapeau soviétique. Ce dernier fut remplacé par le drapeau russe après la chute de l'URSS. During the early nineties, most of the helicopters of the 440.OVP BU from Stendal had this squadron badge painted on the left side of their nose. It represented the Coat of Arms of Stendal town together with the VVS and the Soviet flags. The latter was replaced by a Russian flag after the collapse of USSR. (1) The rockets were fired in bursts of 4, 8 or 16. (2) Here is an instructional film from 1989 about air-to-air combat using air-to-air missiles (R-60 at 5'35") and cannon > Link. 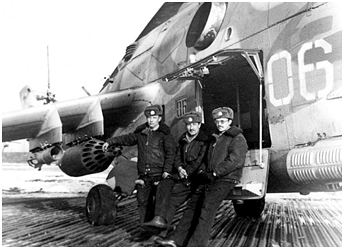 (3) More information on employment of the Mi-8 in this type of mission are published in the Mi-8 chapter. 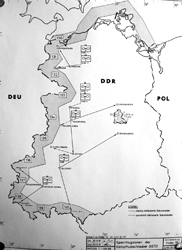 In addition, a new chapter dedicated to the interceptions in the GDR will be developed later. (4) The Victory over nazi Germany is celebrated on May 9 in Russia. (5) The helicopters of the NVA would have taken an alert role in 1979. They were deployed to East-German radar sites from 1981 on. Reinhold, LSK/LV commander from 15/03/72 to 30/11/89.